First-time homebuyers up against high prices this spring could have a better chance of staying in-budget in the Sunshine State, where homes are still relatively affordable, according to a recent Zillow analysis. Orlando and Tampa took the No. 1 and No. 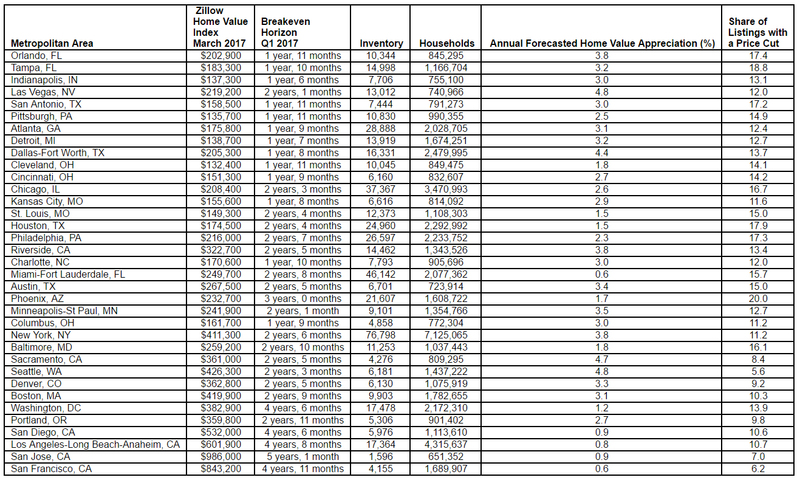 2 spots, in order, in its ranking of the best housing markets for first-timers, considering median home values and home value forecasts, as well as inventory, price reductions and time it takes to break even on a home purchase. Why is the Theme Park Capital of the World tops? 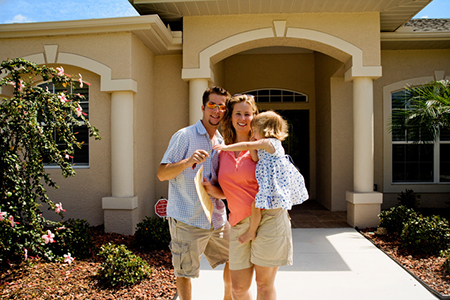 The median home value in Orlando is $202,900, with a forecasted appreciation rate of 3.8 percent. Supply stands at 10,344, with prices cut on 17.4 percent of listings. The time it will take to break even is one year and 11 months—all factors that, combined, make for first-time homebuyer-friendly conditions. Keeping out of the red is a challenge for first-time homebuyers, who, according to the 2016 Zillow Group Report on Consumer Housing Trends, are more likely to go over budget than others.